Versatile slim-leg pants are designed for a clean, smooth fit with exceptional stretch comfort. Vented hems add a dash of sartorial flair. Color(s): black onyx, japanese violet, midnight, mushroom, new phantom, powder, slate, terrene, warm grey, washed olive. Brand: NIC AND ZOE. 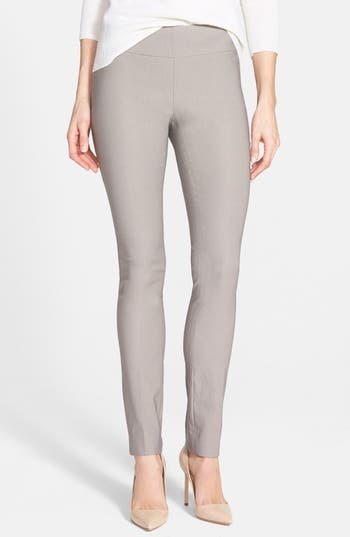 Style Name: Nic+Zoe 'The Wonder Stretch' Slim Leg Pants (Regular & Petite). Style Number: 866751. Available in stores.